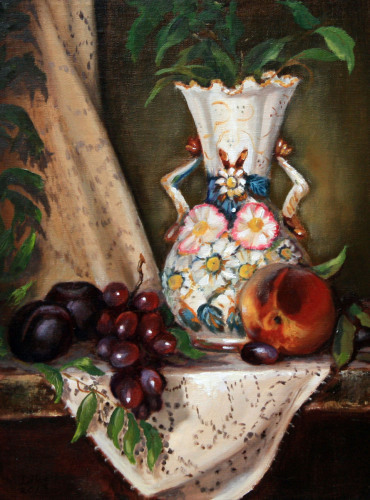 still life in the chiaroscuro style of painting - Original oil on linen - framed - The vase in this still life painting is one that belonged to my grandmother and is over 100 years old now. 9x12" - oil on linen. 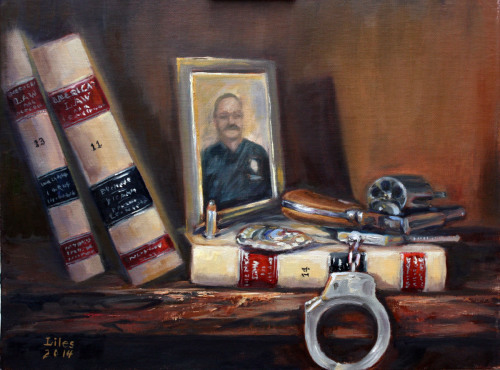 This painting depicts some of the things that were used in my husbands past profession - that of a police officer and detective. The photo in the painting is not of my husband, but is a composite of people who worked in law enforcement. 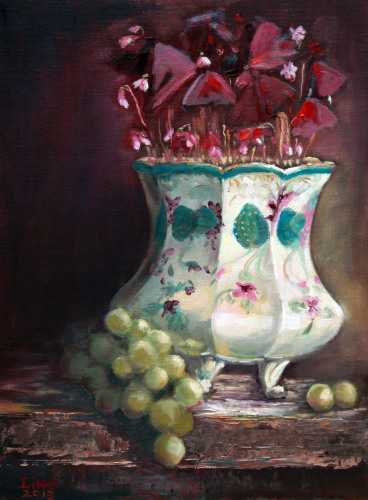 This painting won a Merit Award in the 2014 Pennyroyal Juried Art Exhibition. 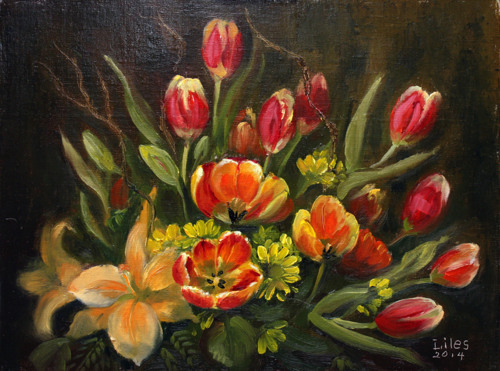 This is an oil painting I did of the flowers that were sent to me for my art show reception in January. 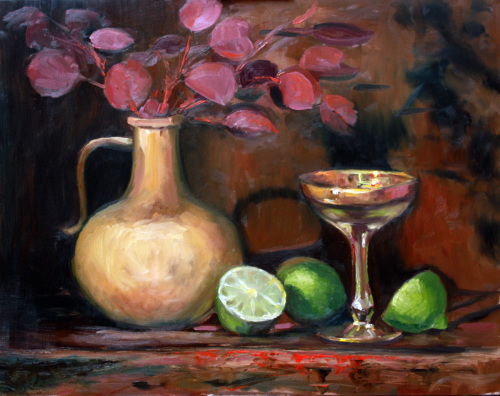 It was selected to be in the Kentucky Governor's Derby Exhibit at the Capitol Rotunda from March 29 - May 5, 2014. 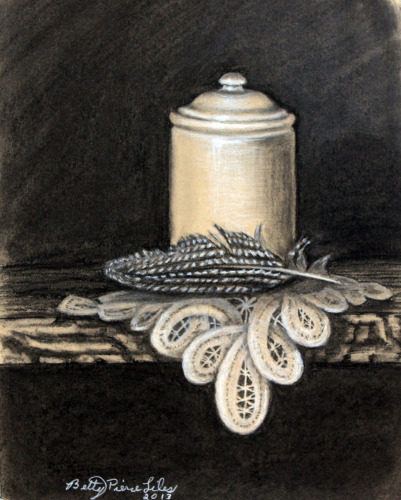 It was also selected to be exhibited for 6 months in the Kentucky Treasures Collection. Which hung in the First Lady's office reception area for 6 months. 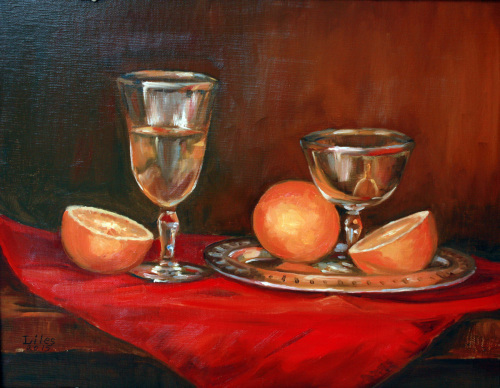 Every 6 months 12 paintings are chosen for this honor as Kentucky's best paintings.It has been purchased and is in a private collection, but prints are available. 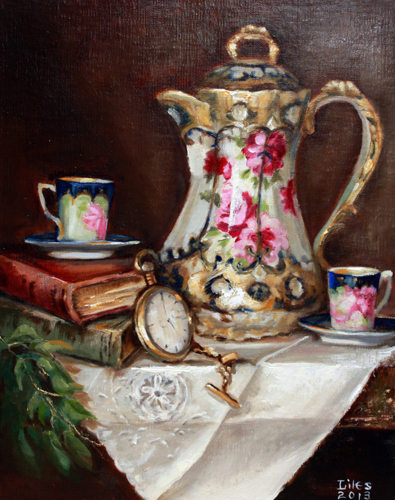 The pearls in this painting was a wedding gift my Dad gave my Mother 72 years ago. 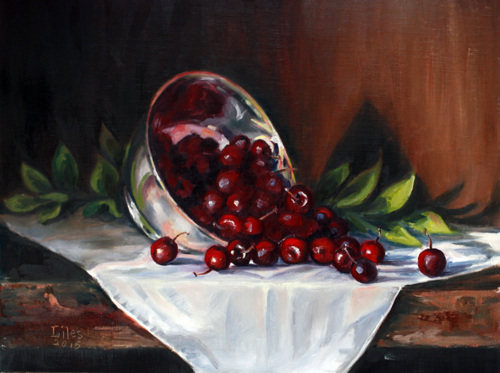 Silver Bowl tilted to spill out the cherries. 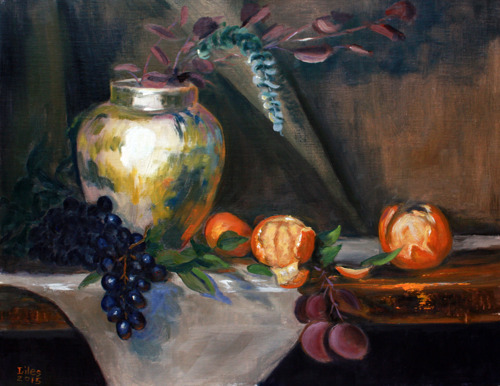 Oil on linen panel. 11"x 14" not including frame - frame is 6 inches wide. 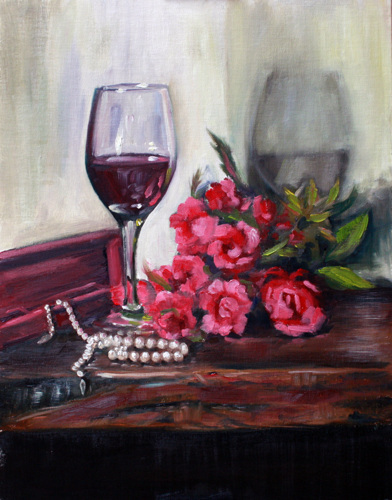 This painting was selected to be in the Kentucky Governor's Derby Exhibit at the state Capitol It was one of 23 selected out of over 200 entries.